When ordering my supplements online I often get some sample supplements to try out, which I love. One of the recent samples I received was the “Cytomax Energy Drops” by CytoSport. I’ve only used one pack of these (split between two workouts) but I think that is enough to do at least a short review of the supplement. CytoSport is a popular and quality supplement company so I was very interested in these Energy Drops. Basically the package and their website says that they are to be taken as needed throughout or before your training session or workout. They contain a “precise blend” of carbohydrates and electrolytes to help provide you with a boost to get through your workouts. Each package comes with 10 drops, but a serving size is half a pack or 5 drops. In each serving you will be consuming 90 calories, which come from 22 grams of carbohydrates (11 grams sugar). The first few listed ingredients are Tapioca Syrup, Cane Sugar, Maltodextrin Pectin, and Citric Acid. There are a handful of other ingredients in there as well, but I just wanted to mention the first few so you can get a look at the main ingredients. 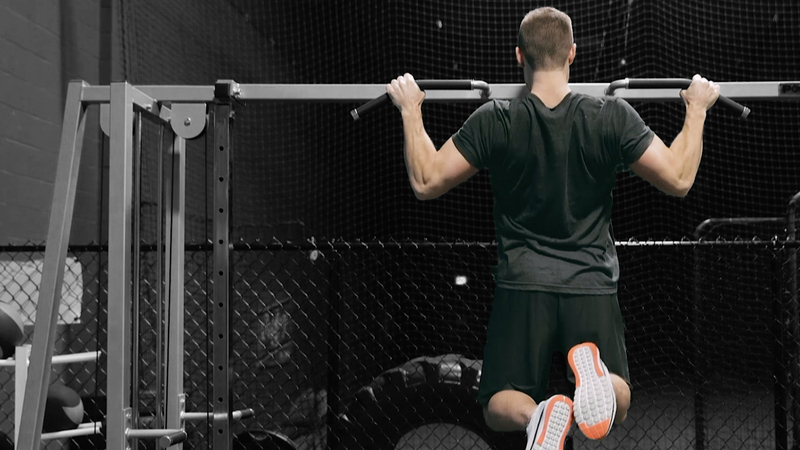 The Cytomax Energy Drops come in two flavors: Tropical Fruit and Orange. The fruit flavor is non-caffeinated, while the orange has 50mg of caffeine per pouch. The 50 mg isn’t much, although may give you a tiny boost, but you would to eat the entire pack to get that 50 mg. Overall the taste was amazing, and I felt like I was eating a candy. It was almost hard to stop eating the entire package and only eat the 5 drops. For the taste I definitely give the Energy Drops a 10/10. With that said I think the quality of the product and the effectiveness gets about a 5/10 for review purposes. 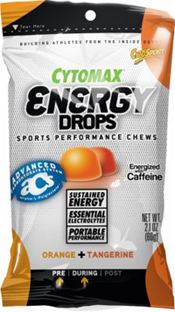 I find these Cytomax Energy Drops sort of like an energy drink, going after less educated athletes that are looking for a cheap burst of energy. The main ingredients are syrups and sugars which should make you worry a little bit if you are watching your carbohydrates. What I do think these are great for is someone who is starting to feel a little hungry before a workout or even sporting event. Taking a few drops will be better thank most snacks, and will help get rid of that hunger feeling. So although these Cytomax Energy Drops are amazing tasting, overall for the review I give them a 6 out of 10 rating. Keep them handy if you ever need a quick snack before a workout or if you play sports, but don’t rely on them for energy pre-workout or otherwise. You can buy them in bulk for a cheaper price at BodyBuilding.com.